As Day Zero looms, I dream about the time I traveled to Cape Town around my birthday in 2016. Everything was still lush and water wasn’t such an issue. So in light of everything that is going on in Cape Town, I decided to share my incredible experience. If you are visiting Cape Town, please do your part and conserve water. There is no other city quite like Cape Town. The city is wedge between ocean, desert, and spectacular vineyards. This Mother City allows travelers to indulge in unique cuisine, immerse in culture, and Carpe Diem in some of the most adrenaline-rush adventures. Even if you only have a few days to spare, seize the day and see as much as possible. Here are some quick tips to get you started in Cape Town. 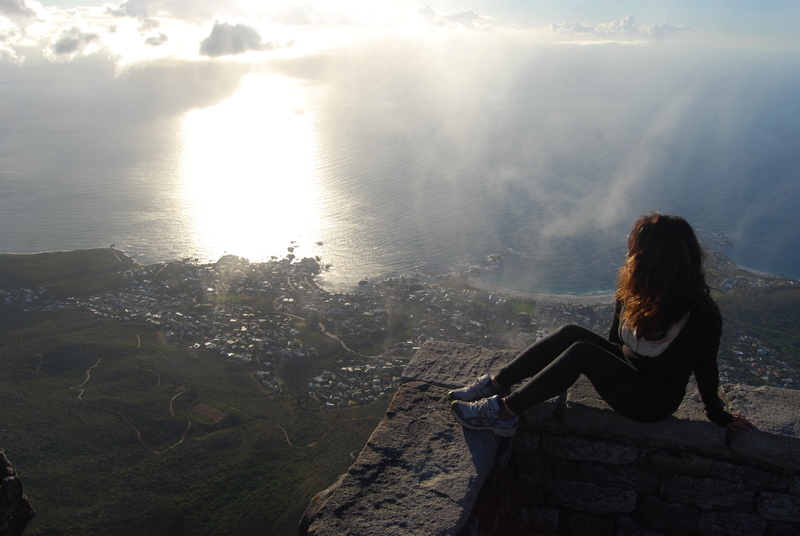 Depending on what you are searching for, you can visit Cape Town year round. Summer in Cape Town is from December to March. Tourist season is high and everything is relatively more expensive but the weather is in the high 70s. March to May is the best time to visit for wine lovers. It is the start of the wine harvest. Winter is from June to August. Day temperatures can drop in the low 60s but accommodations is at its cheapest. If you are looking for color and all the plants blossoming, visit in September to November. Make sure you have the proper travel documents when traveling into Cape Town. Most countries do not need a visa when entering into South Africa for stays less than 90 days. You can find more information listed here. You are not required to get any travel shots. Cape Town is a metropolis city and catching malaria or yellow fever is very rare. 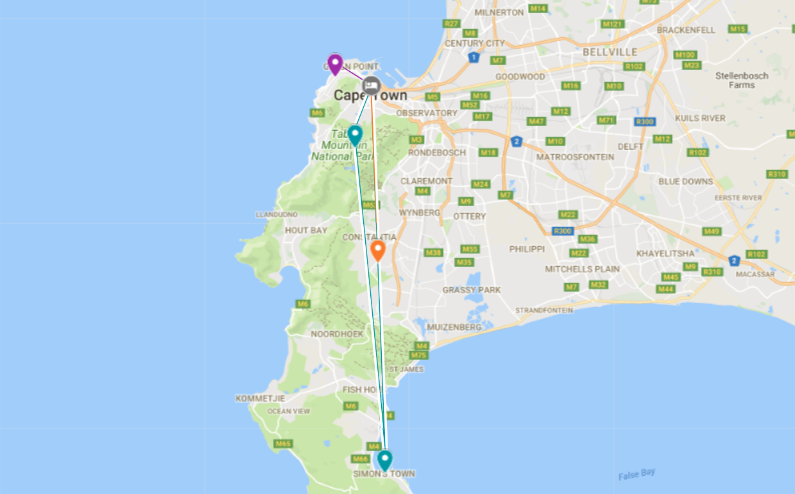 Cape Town International Airport to the city center is approximately 20km. The best way to get into the city center from the airport is by hiring a taxi driver or arranging transportation with your hotel. It will cost you about R300 to R400 ($19 – $26). The cost-efficient way to get into city center is by taking their public transit, MyCiti. You can find more information about MyCiti, including using the trip planner, here. Upon arrival, I proceeded though the arrival concourse to find multiple ATM machines. The highest option on the ATM machine is R3000, about $190USD. The machine dispense in 100 bills but you can get smaller change at the currency exchange booth in the concourse. In South Africa, the currency used is called the Rand. I booked a hotel apartment, Icon Luxury Apartments for my stay in Cape Town. It was $90/day. The room was everything I needed and more. The studio room came equipped with a full kitchen, a comfortable bed, a lounging area, and bathroom. Icon Luxury Apartment is located on Long Street but away from the bustling noise of the city. Parking is also available for guests without a charge! I rented a car at Avis for $200 (including full insurance) for 4 days. I strongly advise on getting the full coverage especially those who are not familiar with driving on the left side of the road and the steering wheel on the right. You can easily get around Cape Town without renting a car. The most practical way is taking the Hop On Hop Off bus for R150 (edit: now R180) a day. The bus takes you all around Cape Town without breaking your bank. The only issue is that the bus does not run late so plan accordingly. There are 11 different languages in South Africa, however, English is the most commonly used.